The kids of the 80s are getting old. Which means they are becoming those cranky co-workers at the office who are always cold and perpetually complaining about the temperature. 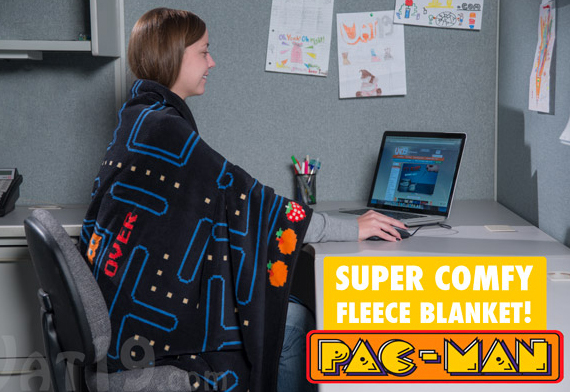 A Pac-Man Fleece Blanket should keep them toasty and most importantly, keep them quiet. They will be so busy snuggling up to memories of their innocent childhood and arcade games, you might want to keep an eye on their productivity. 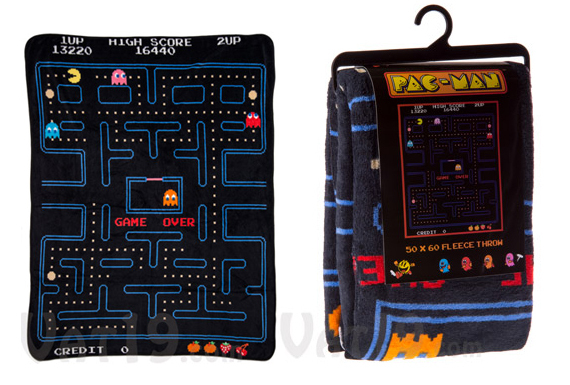 The officially licensed blanket is an exact replica of the maze board and made from fluffy, 100% polyester fleece.